The FCC fined Marriott $600,000 for jamming their customer’s personal hotspots or tethered access to the Internet [that these customers have already paid for] and then forcing the Marriott customer to have to pay HIGH prices for Marriott Wifi/Broadband for a 2nd access to the Internet. You can also find this story covered by CNN and other media (TV, NewsPaper, Radio, Internet). It is a 1st Amendment Free Speech Issue – I should not have to pay for my speech [a 2nd time]. I am a blogger, but even a person on social media who comments on politics or civil issues (local, state, federal, etc.) is exercising their free speech rights (and possibly their right to peaceably assemble too). It is a Net Neutrality Issue and the FCC is setting the rules on this (not Marriott). Marriott is blocking a service that its customers / guests have already paid for in order to substitute an expensive Marriott access. How is this not equivalent to adding “toll roads” to the air-waves that are owned by all Americans. The Internet frequencies are owned by all citizens and no citizen should be allowed to block free/low-cost/private access routes and force people onto HIGH toll access routes. This appears to me to be akin to Highway Robbery. At the very least the Marriott company is acting as a TROLL to limit access to their bridge (by destroying all other local bridges) by forcing the paying of extortionate rates. Why should any business be allowed to block or jam personal access to the Internet? Doesn’t that set a precedent that private companies can take away 1st Amendment rights at public venues? Do we now have to pay for our access to the Bill of Rights? Only the military or police should be allowed to do this and only in specific rules of engagement for security or safety issues or government or courts as punishments to criminals using the public airwaves (i.e. the Internet) to spread hate-speech, incite violence, and other harmful intent actions etc. Things that are NOT covered by Free Speech could/should be “jammed”. Businesses can still use their own networks and give/deny access to their computer resources or ” private clouds” and maintain security. 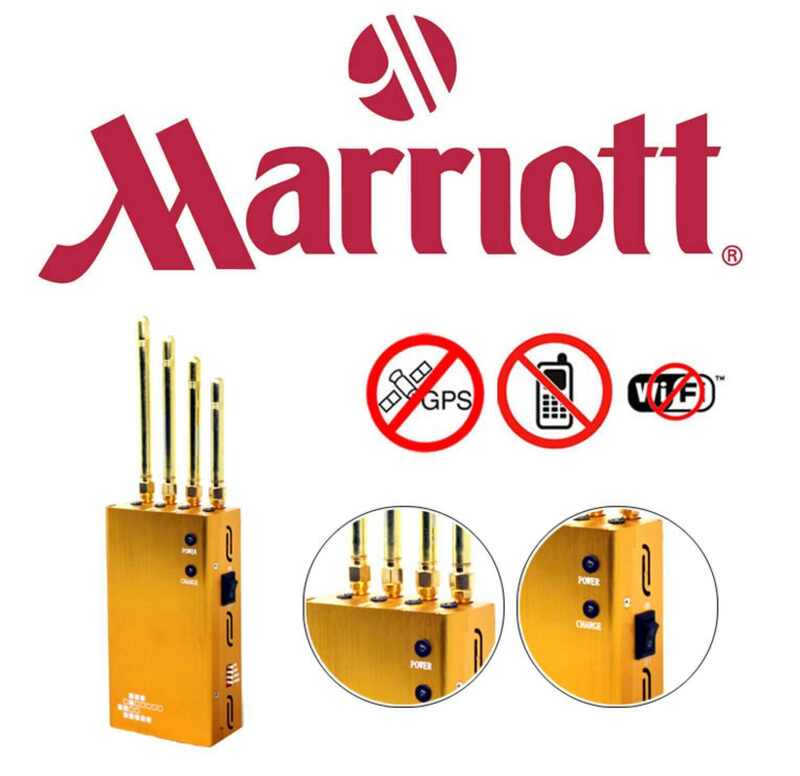 But a personal hotspot or tethering is NOT a security issue as this is a customer / guest’s private network and does not access or connect to the Marriott network. Marriott would still be allowed to deny access to their networks or private clouds by anyone else’s networks. I also think local building codes need to be updated that using materials that block the Internet access in public venues (concert halls, conference centers, etc.) not be allowed. 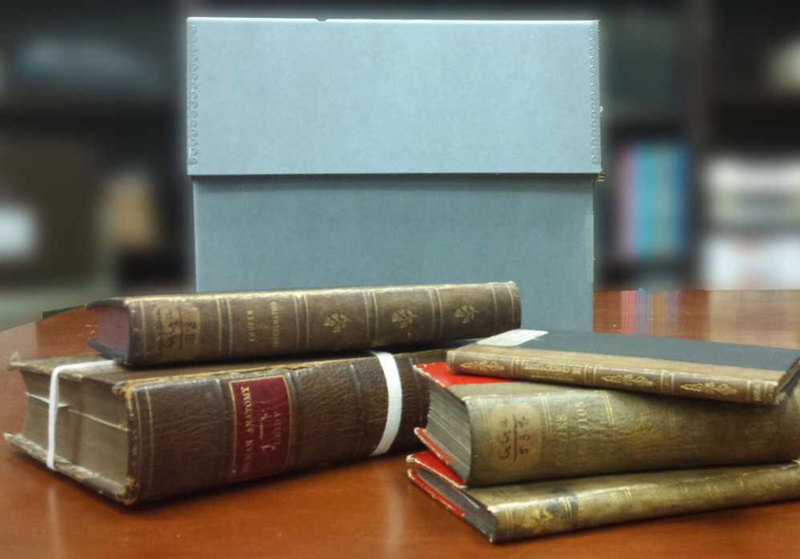 We already have IP (Intellectual Property) laws to protect copyright materials, like shows, concerts, etc. So jamming important communications (security personnel, doctor’s phones/emails, etc.) could have catastrophic consequences . Jamming is akin to stopping people by police without due cause. They have not committed a crime so you cannot take away their rights/privilege to access the Internet, just because some bootlegger may (or may not) try to steal some IP. Casinos deny access to card counters why not have IP venues deny access to convicted IP thieves rather than jam free communication. Jamming also inhibits “fair-use” or other legal uses (checking on your home’s safety while attending a concert, reporting on an event by a reporter or journalist, etc.). This private jamming will limit new technologies too. Are we going to have the Internet Of Things or are we going to have Trolls with extortionate paid access paths interfering with technologies, some of which may be vital to someone’s safety/health. Do we want a robust economy for new innovations or do we want companies to be able to limit innovation/disruption by using public airwaves in a monopolistic fashion? What happens when health processes include medical devices that connect via Internet are jammed? When a company or government organization forces a customer to use their cloud/network, what happens when an employee of this organization forcing the use of their network, uses the organization’s internet access to stalk, harass, threaten, “shed a false light” or for other illegal actions? Why would an organization willingly compel the use of their network/cloud(s) where disgruntled employees can wreak havoc upon their customers? This is much bigger issue than Marriott is portraying and Marriott’s petition should be denied and the $600,000 fine enforced. The FCC needs to look into Gaylord Opryland too since this is being used by Marriott as an argument to justify its own unethical practices. Marriott should be allowed to charge for providing access to the Internet if it wants — even though most hotels/motels provide FREE access to the Internet. Let the free market determine what the customers want. This is also why Net Neutrality is a very nuanced issue and not a one-size fits all ruling (unless it is many pages long detailing all the possibilities that people can dream up right now and allow for future remediation due to new technologies). Need to catch up on Net Neutrality, try the FCC Chairman Tom Wheeler’s C|Net Interview: here . 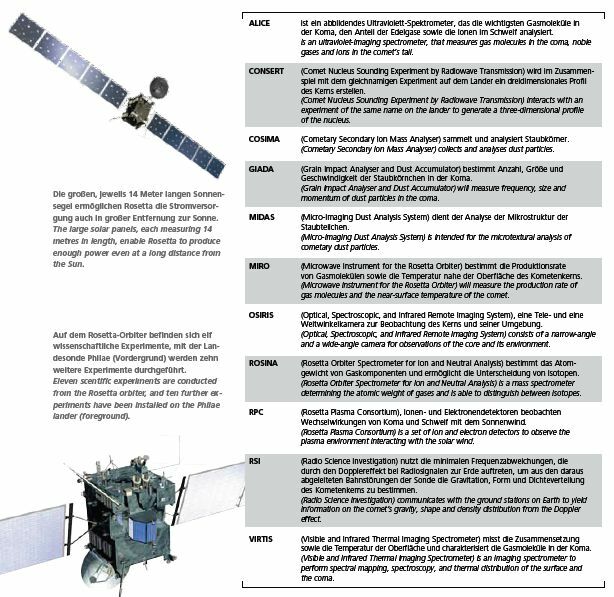 The ESA’s 10 year mission of the Rosetta satellite to rendezvous with Comet 67P and to launch Philae the Comet Lander which has landed and will commence a one year full studies of this comet with pics from the lander and satellite and data of a variety of on-board instruments. Comet 67P/Churyumov–Gerasimenko is a very interesting comet just from its shape alone. The first image is from Philae as it was launched from Rosetta. The bubbles are sun-flare – glare on the RAW image with the Sun and its rays on the center bottom of the raw image. This is a tremendous engineering and science acheivement of the ESA to be the first to land upon a comet. The rendezvouse began on 6-August-2014 and for the last three months mapped the comet’s contours and emissions looking for an interesting and viable landing spot. 11:06 ET has the landed and is communicatinging – images to come. Poland is also a part of ESA now. On the Philae Lander is one instrumentation that was built in Poland. More details are here . More than 70 scientific instruments that were built in Poland, has[sic] already been sent to space. The instruments built at the Space Research Center of the Polish Academy of Sciences have studied Titan’s surface, have been on board ESA’s Venus and Mars Express missions, and are now studying the comet 67P/Churyumov–Gerasimenko. Stanczyk is wondering … “Is Rootsweb dead”? Please give me date and place of death if that is the case. Earlier in the week Ancestry.com had a multi-day outage due to a DDoS. That is a distributed denial of service, whereby a ‘botnet make an overwhelming number of requests from a website until it crashes or ceases to be able to respond to requests. So since Ancestry, hosts Rootsweb, I was thinking perhaps that DDoS took out Rootsweb too. I tweeted @Ancestry and asked if anyone was working on Rootsweb being down and did not receive any response — so I am blogging in hopes that Ancestry.com will respond. Now I know parts of Ancestry came back a little at a time. Searching, then trees, the blog, finally message boards (connected to Rootsweb n’est c’est pas?). How many days now has Rootsweb been down and when will Ancestry get around to fixing the problem. Mundia is also down and perhaps Ancestry will never bring Mundia back, since they had already announced (June 12th, 2014) that it was going away. Likewise for MyCanvas and also Genealogy.com are dead too and they were scheduled for termination too. This is a Cloud problem. When you live upon someone else’s cloud and it crashes you are down too and you do not come back until their cloud is reconstituted. I guess in this case maybe longer. Maybe you remember the news when in 2012 Amazon’s cloud crashed and that cloud crash took out Netflix, Instagram, Pinterest, and even GitHub (a nod to my Developers guild) or the when Amazon’s cloud crashed in 2011 taking out FourSquare and Reddit. My advice is from the Rolling Stones in 1965: http://youtu.be/pq3YdpB6N9M [enjoy]. Mick Jagger was way ahead of his time.